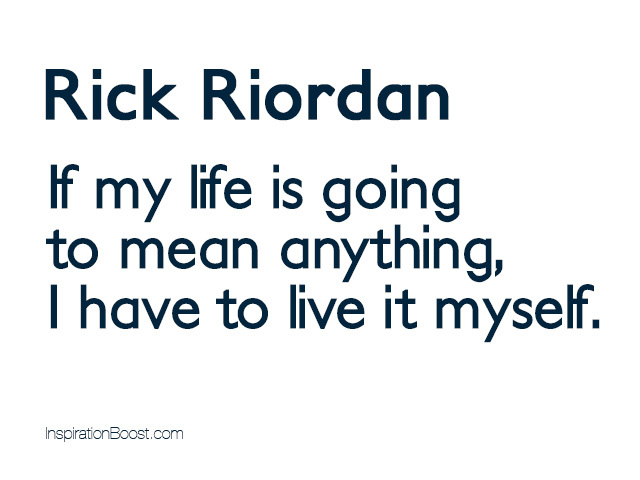 See the gallery for quotes by Rick Riordan. You can to use those 8 images of quotes as a desktop wallpapers. Turkey, Australia, and Japan are three of my top destinations. My eighth grade teacher, Mrs. Pabst, had done her master's thesis on Tolkien. She showed me how the trilogy was patterned after Norse mythology. She was also the first person to encourage me to submit stories for publication. 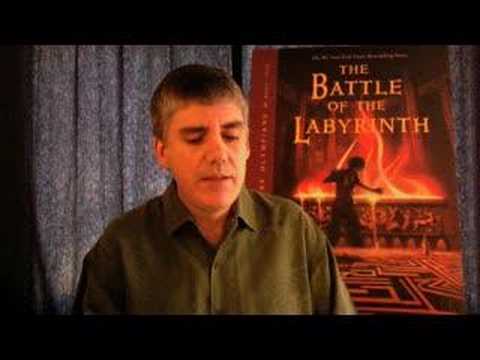 The idea of writing a fantasy based on myths never left me, and many years later, this would lead me to write Percy Jackson. Back when I taught middle school and wrote adult mysteries, my students often asked me why I wasn't writing for kids. I never had a good answer for them. It took me a long time to realize they were right. 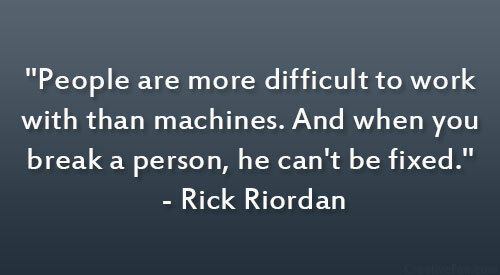 For me, writing for kids is harder because they're a more discriminating audience. While adults might stay with you, if you lose your pacing or if you have pages of extraneous description, a kid's not going to do that. They will drop the book. 'Harry Potter' opened so many doors for young adult literature. It really did convince the publishing industry that writing for children was a viable enterprise. And it also convinced a lot of people that kids will read if we give them books that they care about and love. I don't teach anymore, but I can still clearly see fifth period after lunch - that's a real tough time to teach. And I tried to imagine writing a story that would appeal to those kids - even when they're tired, even when they're bouncing off the walls. I don't think I would ever inch my way up to Y.A. That audience is very well served. There are a lot of wonderful writers writing for Y.A. I feel like I'm in the right place. I loved the idea of making history interesting for kids! When Scholastic approached me about 'The 39 Clues', I immediately started going through the 'greatest hits' from my years as a social studies teacher, and picked the historical characters and eras that most appealed to my students. I saw 'The 39 Clues' as a potential vehicle for doing some education in a fun way - to take some of these amazing stories from history, dust them off and make them alive. I sometimes look at my bookshelves today and wonder which volumes my sons will treasure in twenty or thirty years. Which should I be saving for them? Which will fade with time? I stick closely to the structure of the myths. I may have some fun with the mythology by changing the environment to modern-day, but the structure of the myths, the monsters, the relationships of the gods - none of that is made up. I think anytime you're writing to the middle grades, you're writing to young readers who are trapped in a number of ways between two worlds: between childhood and adulthood, between their friends and their parents. 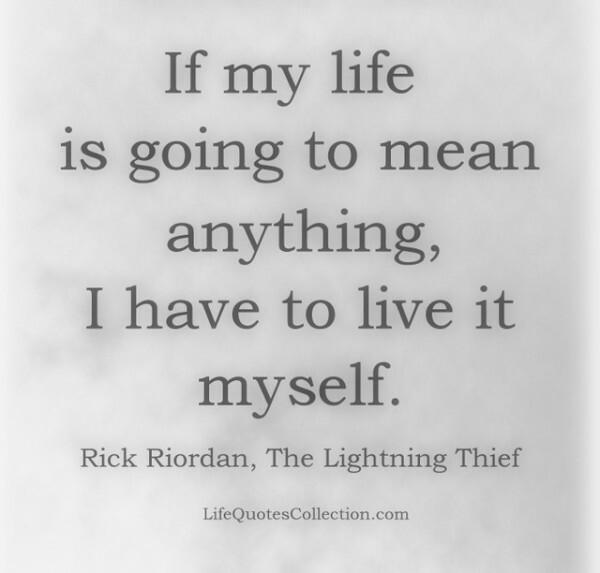 Much more quotes by Rick Riordan below the page. I think children love reading, and they will make time for it if we put the right books into their hands. And I hope I get the chance to keep being one of the people that writes them. I wanted my students to leave my classroom loving reading and wanting to read more, and if they left my classroom thinking that reading is boring, then I haven't done my job. It's hard enough to be a middle-school kid, because you're dealing with so many facets of your identity - you're changing socially, you're changing physically, you're changing emotionally, everything is in flux, and to put race on top of that as well and have to figure out your racial identity is extremely hard. Kids ask me questions. You'd think after doing this for four years, I would have heard every single question anyone could think of to ask, but no, every time, they surprise me, they ask me something I never thought of before. My problem is never ideas. I've got more than I'll ever have time to write. 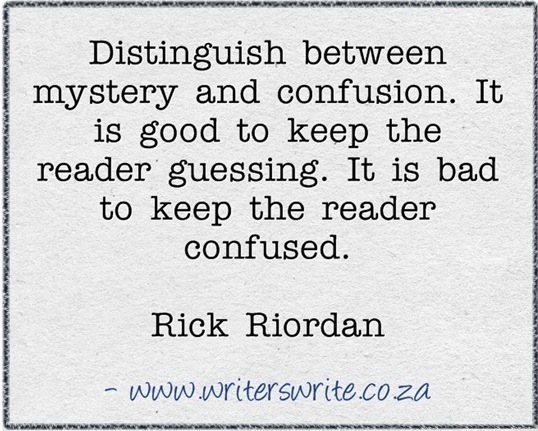 It's all about how many I can get to, and which ones readers want to see the most. The Met is such a powerful place for me because it's a natural connection between the ancient world and the modern world. And when you're dealing with ancient mythology, trying to put a modern spin on it, you really can't do much better than to call on the Met. The older I get, the less I obsess about material stuff. In fact, stuff has become the enemy. There always seems to be more of it than I have storage in my house! To a degree, the Greek and Roman mythological heroes are just the first superheroes. They appeal to children for much the same reason. These gods and heroes may have powers, but they get angry and they do the wrong thing. They are human too. When I was in college, my parents' house burned down, and took a lot of the possessions I'd grown up with. That's probably one thing that made me realize material stuff is not really that important. When I was young, my favorite picture book was 'Fletcher and Zenobia,' written by Edward Gorey and illustrated by Victoria Chess. It's long out of print now, but its mix of macabre humor and 1960s psychedelia made it a perfect children's book for the times. 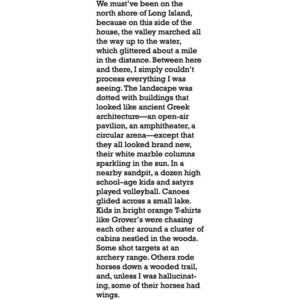 When I write, I'm still imagining a kid reading it on paper. I read e-books when I travel, but in general I still prefer holding an old-fashioned book in my hands. There's a special, tactile experience. Writing 'Book 1: The Maze of Bones' didn't feel much different than writing one of my other novels, but I thought it was very innovative to offer the website and trading card components as well for those readers who wanted to go more in depth with the Cahill experience. You know, how much order is good? And when does order become too restrictive? Is a little bit of chaos okay, or is chaos always an evil force? I mean, these are questions that any kid who's ever been in a school cafeteria can relate to. 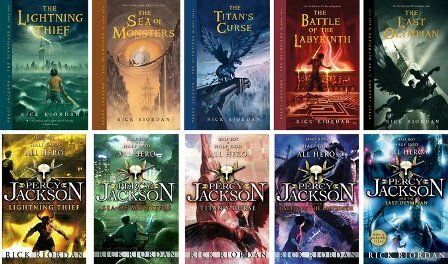 I always love it when I hear back from kids who say they discovered Percy Jackson and now wear their learning difference as a badge of honour. I can't promise that every child with learning differences will become a novelist, but I do think all children can become lifelong readers. I have to be careful. My readers are very detail-oriented, and if I make a mistake they'll call me on it. I like to have a simple workplace. I love Norse mythology - Thor and Odin and Loki - amazing characters. I love teaching. I love working with kids... maybe some day I'll go back to the classroom. I'm not ready to say it'll never happen. I think kids will read more good books than we can possibly produce. 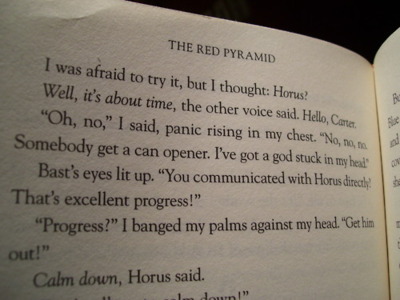 I wrote for 10 years before I even started the 'Percy Jackson' series. I've always found the second book in a series is the hardest to write. It is true that I once refused to eat haggis in Scotland and this did not sit well with the local population. It seems like just yesterday my son was hiding under the table to avoid reading. 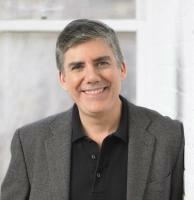 Now, he's writing books longer than mine! It's wonderful being an author and having so many kids enjoying my books. That's always been my dream job, and I feel very lucky to be able to do it. Kids are the audience I know best.